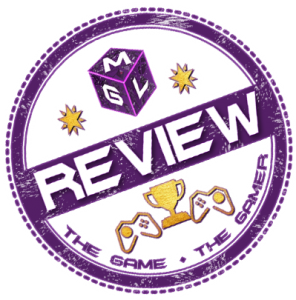 I looked into doing this Rain World review and did the age old mistake of judging a book by its cover. Or more literally, judging the game by the cute bunny image and expecting something sweet and nice. Oh how Videocult fooled me as this game is a dark, rather lonely world of predators and so many bunny-creature (Slugcat) deaths. No wonder it’s an Adult Swim game and one for the stronger hearted. As far as the game goes it’s got a number of really cool but dark ideas. Some that really work and will entertain a certain audience. Other elements don’t quite work and it somewhat loses some of the fun in trying to be so dark. 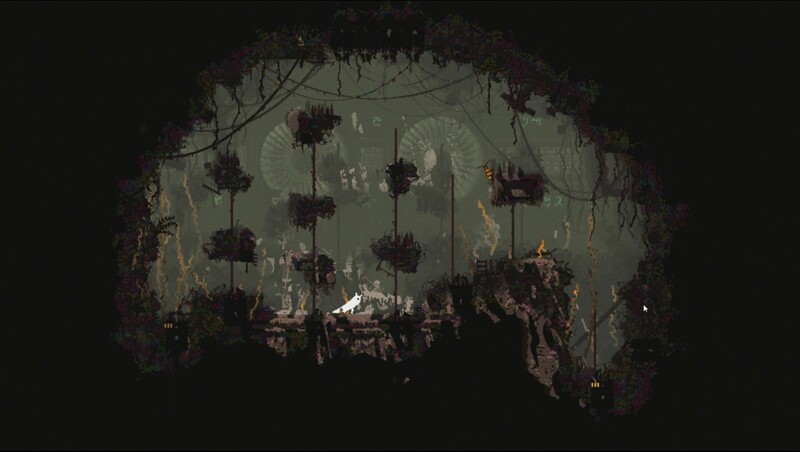 Check out my thoughts below and drop me your thoughts on rain world. Use the comments at the end and don’t forget to press that share button… Or the bunny gets it! 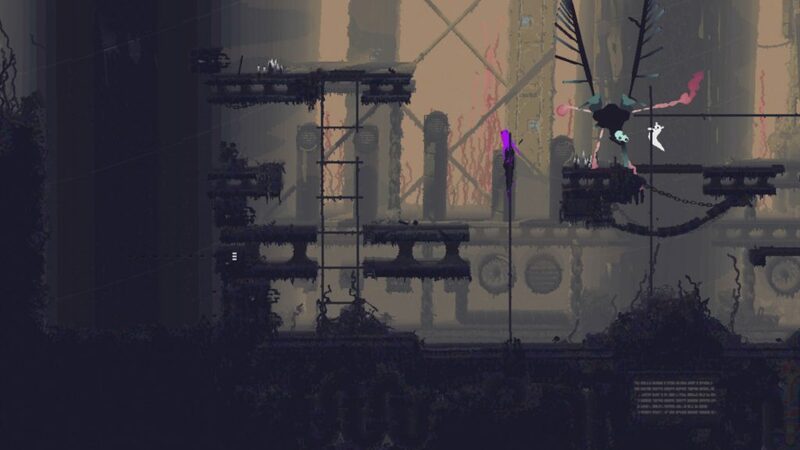 Rain World makes some incredibly good choices and captures a real sense of style in its presentation. One that at a glance really is something captivating in the darkness and desolate nature of the world around you. This is not the lush green of a Horizon Zero Dawn, this is a darker, depressing world of an inside. It’s a game that you as your Slugcat character are the brightness amongst the dark and its stylish look is just right. The level design and backdrops are excellent and very impressive. The atmosphere is very dangerous and dark too although some areas and parts of the game are so silent that it becomes a bit dull. Ambient music really lifts experience when it’s present, too often it isn’t however. Still as a piece of art and building a dark and dangerous world, the developers have done a great job. At the beginning the game throws you into the dark was right away. A happy Slugcat family is torn apart in the awful rain. As the one that falls into the darkness of this desolate world you must survive the weather and the predators to find your way back to your family. Here is where the game will work for you or it will put you off right away. The principals behind the game are to give you very little direction and feel most things out yourself after some early guidance. The rest is about exploration, finding food and avoiding becoming food! And I’ll say this now, that cute little Slugcat is going to get eaten and it will make you sad. This game is not easy at all. The principle is very simple, eat small bugs and other edible items like plants to keep yourself fed. Then you hibernate through the rains as they batter down on this strange world. Sleeping gives you karma and this lets you explore further into the ruins of this place and open up new areas. Your deaths from being eaten lose you karma. Or: eat, sleep, explore, repeat. With some serious deaths thrown in the mix too. My point is, while it’s really interesting and a nice world. The objectives are just too simple, avoiding predators is ok but it feels inevitable you’re going to be eaten and so much is trial and error. Yes that’s the style of the game, but it’s a fun sapper at times, for me personally it really started to switch me off from the game after a whole. It’s very simple, serious and a little too real to be fun at times. Rain World is a beautifully game and the are some wonderful ideas here. It simply lacks in the fun department for me. The gameplay is not deep enough to warrant the level of challenge it provides in most cases. It feels good to get it right and to really keep finding more area of the world. But overall it’s a bit too serious to work. I like the idea behind the game and hope the developers get a good idea for their next adventure from it. Some people will enjoy this, especially those wanting a challenge. It’s just not quite enjoyable enough for me. Check out my scores below and let me know what you think of this one in the comments.